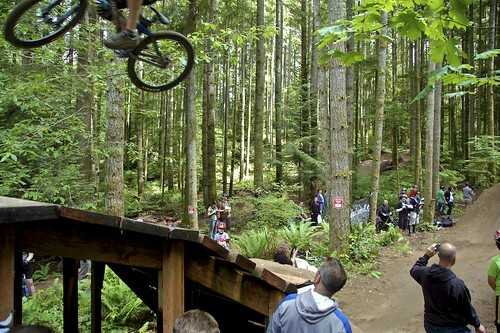 Duthie Hill Mountain Bike Park: Mountain Bike Fest, a photo by kingcountyparks on Flickr. Duthie: Then & now slideshow. Thought we’d blast you with “The evolution of a bike park” from our Flickr feed. The Mountain Bike Fest was a hit. A lot of vendors, bikes, kids and smiling dirty faces. If you are too busy, and important to see the whole slideshow, you can take your Delorean over 88 and meet us in the future…of our slideshow and see the shots from this weekend. Enjoy. Previous Post I’m freakin’ out, man!